I remember reading recently in a post here about the StewMac Ultimate Scraper. This tool is popular with luthiers. I'm wondering if furniture makers find this scraper more useful than regular card scrapers. On the StewMac website there are over 100 positive reviews. I always like to check here before purchasing a new tool. Thanks. Since my card scrapers including the curved ones have served me well since day I learned to use them, I can't think of any reasons to get that more pricey scraper for my shop. 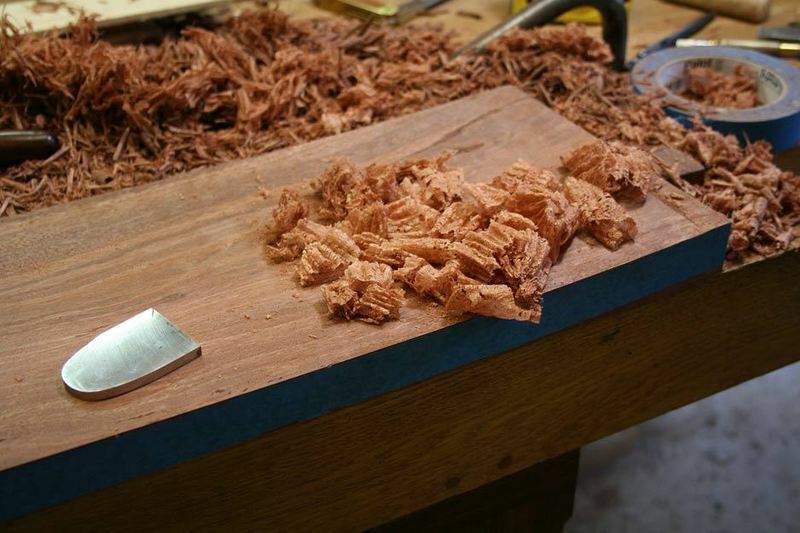 Bill Carter, an English plane maker, came up with a better idea of making your own solid, thick scraper by grind a chisel edge square. I made a couple as wide as 2". (02-11-2019, 03:49 PM)JSpill Wrote: I remember reading recently in a post here about the StewMac Ultimate Scraper. This tool is popular with luthiers. I'm wondering if furniture makers find this scraper more useful than regular card scrapers. On the StewMac website there are over 100 positive reviews. I always like to check here before purchasing a new tool. Thanks. I made my own some years ago from the rear of a 3/16" thick plane blade. I rave about it all the time. An exceptional tool. Hollow ground all around .. I have a couple of them and they are the best scrapers I have, period. They stay sharp a LONG time. I like that they have curves in them so you can get into concave spaces (e.g. saw handles and mouldings). I used mine for removing glue squeezeout, leveling off surfaces, and taming tearout, as well as to remove rasp and/or saw marks on curved surfaces. Using one scraper on a project, I think I went about a month before I needed to resharpen the edge, which is pretty easy on a grinder. Derek's solution is similar to the StewMac concept. 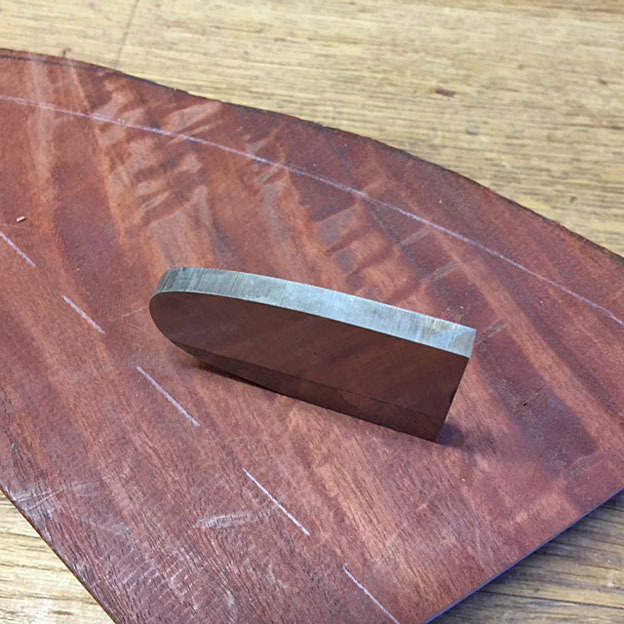 (02-12-2019, 11:39 AM)AHill Wrote: Using one scraper on a project, I think I went about a month before I needed to resharpen the edge, which is pretty easy on a grinder. Derek's solution is similar to the StewMac concept. The thick scraper does look to have a long lasting edge. 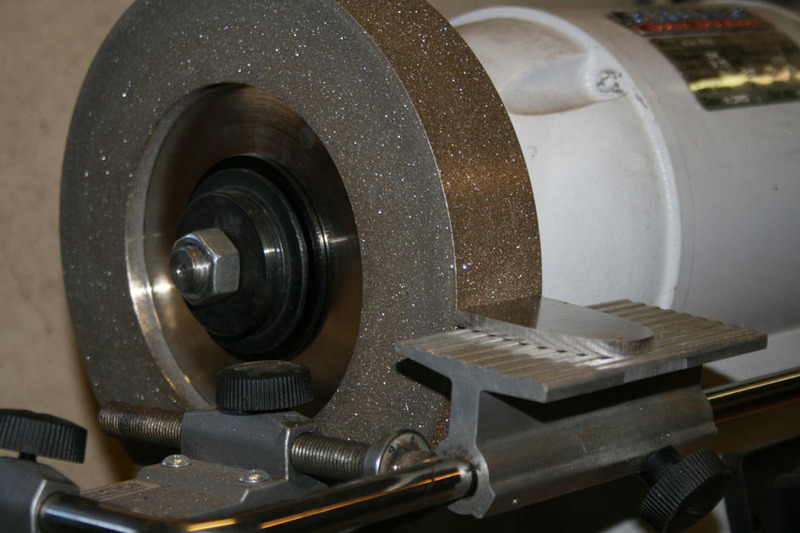 Few card scraper users know the secret to a long lasting edge: many put a heavy hook on their card scrapers which give them aggressive edges, but not durable ones. I have seen instructions out there suggesting burnishing as high as 40* or more. A 10* hook is more than enough and will get you an edge lasting for a long long time. Months of durability for normal usage. Also use a proper burnisher, not a screw driver or chisel that sometimes you see on youtube. For heavy stock removal, I use a cabinet scraper. (02-12-2019, 12:10 PM)Handplanesandmore Wrote: The thick scraper does look to have a long lasting edge. Being a little daffy at times, I saw the Stewart-MacDonald video of that thick scraper, and it put me in mind of the steel in a skate blade. I skate for exercise, and use a hand-held blade sharpener to put a hollow on a skate blade. It definitely puts a burr on the edges. Hmmm.. I tried scraping some oak with the skate blade (still mounted to the boot). The blade had about 15 hours of skating on it, and the burr was irregular from this wear, but it worked! Now I know what I can do with old, worn skate blades. If you like that one, Paul pontificates on scrapers and sharpening for over an hour and a half in this YouTube video for the Gwinnett Woodworkers group. (02-12-2019, 04:16 PM)Bill Schneider Wrote: I tried scraping some oak with the skate blade (still mounted to the boot). The blade had about 15 hours of skating on it, and the burr was irregular from this wear, but it worked! Now I know what I can do with old, worn skate blades. Current time: 04-18-2019, 08:20 PM Powered By MyBB, © 2002-2019 MyBB Group.